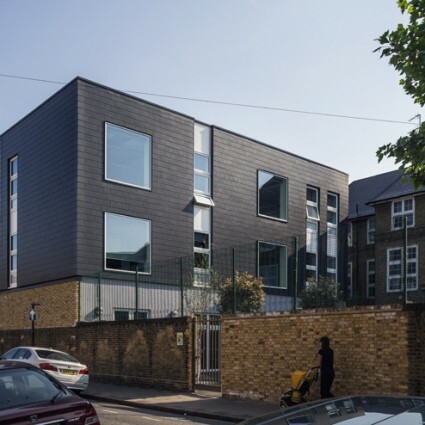 Rivington Street Studio has overseen the design for improvement and expansion of Orchard Primary school in Hackney since 2009 to achieve the school’s vision for an outstanding educational experience. 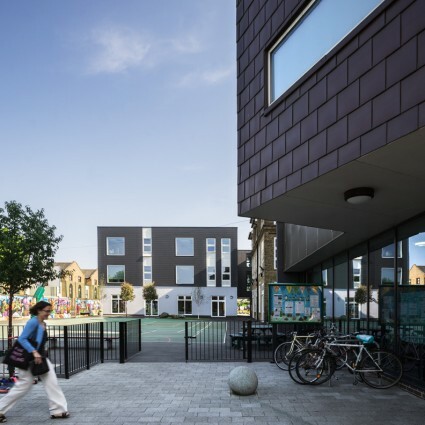 The briefs for these works have been developed working closely with the school, through consultation including the children and the local community. 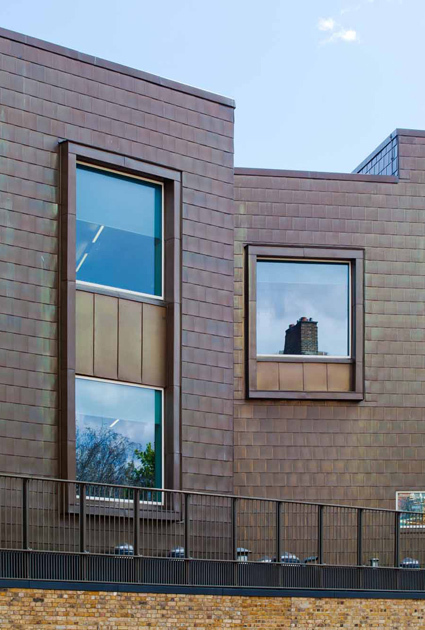 With funding from the Primary Capital Programme, improvement works completed in 2012 included remodelling and a dramatic new copper clad extension. 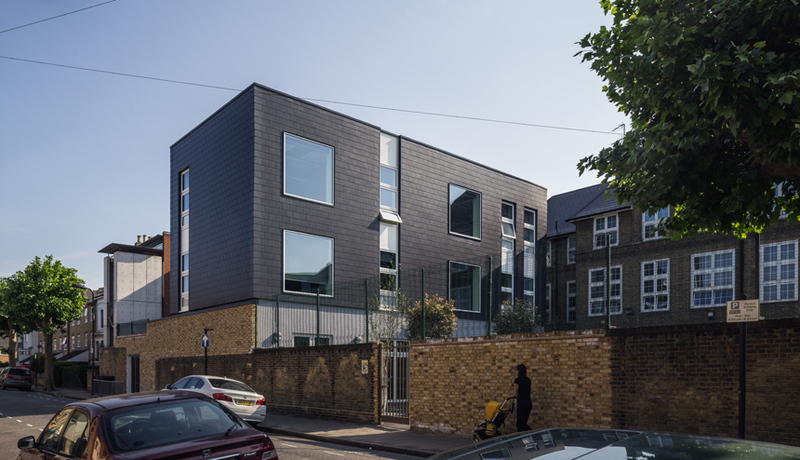 The massing was developed give the school a strong identity and relate to the urban context by creating an offset geometry with upper storeys rotated relative to the ground floor. 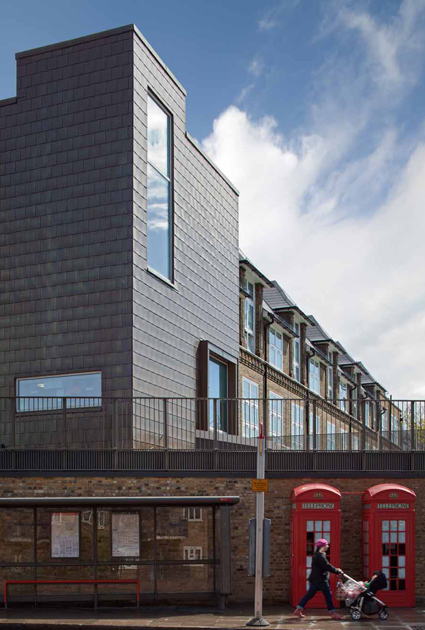 Materials reinforce this principle with brass shingles providing a warm, textured façade sitting above large areas of glazing. 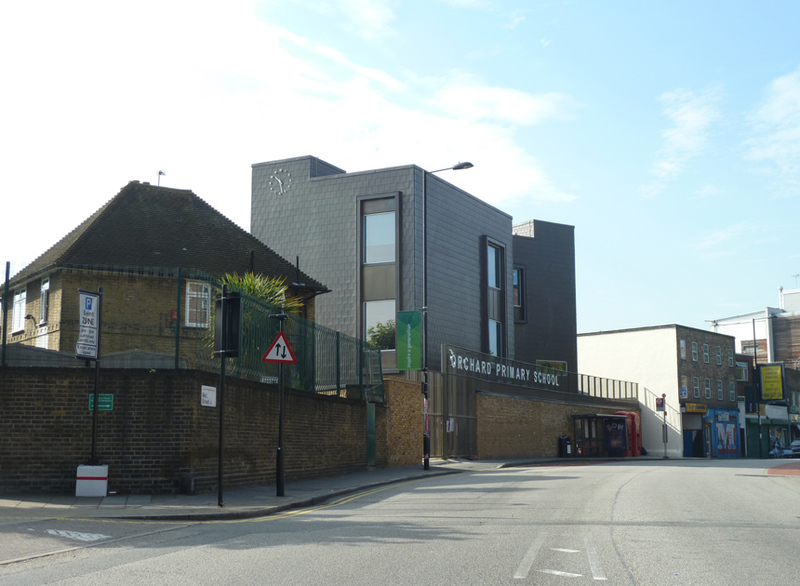 The later expansion scheme (completed 2015) has taken the school from 420 to 630 pupils (2 FE to 3 FE). 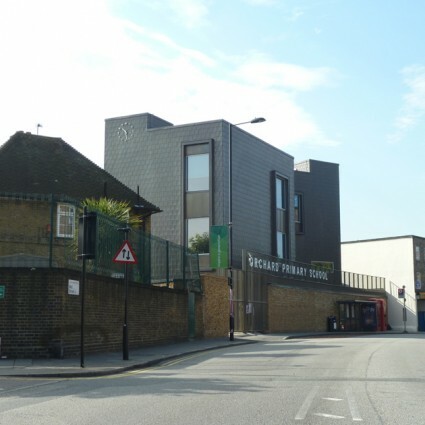 This includes a new build extension located on Holcroft Road and provides seven additional classrooms, ancillary spaces and a new hall with out-of-hours use. 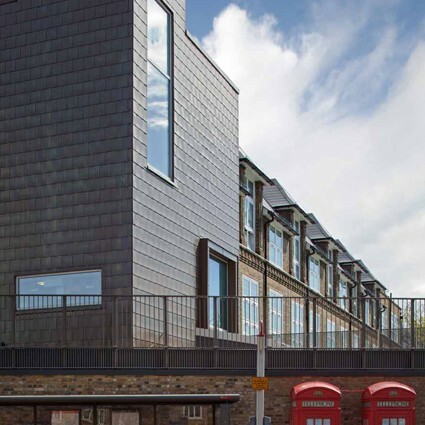 This extension is clad with fibre cement tiles which complement the existing school and also echo the brass shingles of the earlier works in order to create a coherent whole. An unused ‘backlands’ site has also been developed to provide sufficient play space for the additional pupils. 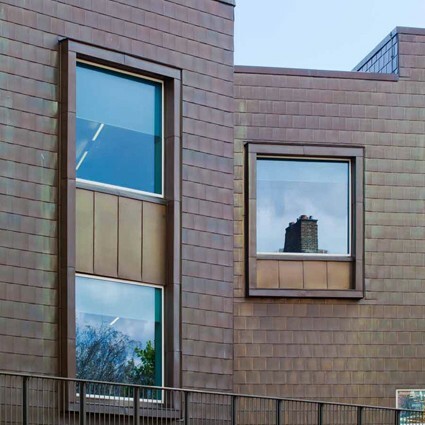 The whole school (including the existing building) has achieved a BREEAM ‘very good’ rating and includes green roofs, renewable energy and exposed thermal mass. "People are genuinely excited by the Orchard learning environment, which now offers a modern, bright, exciting setting for learning. This has in turn had a real effect on the way children learn and behave in our school. 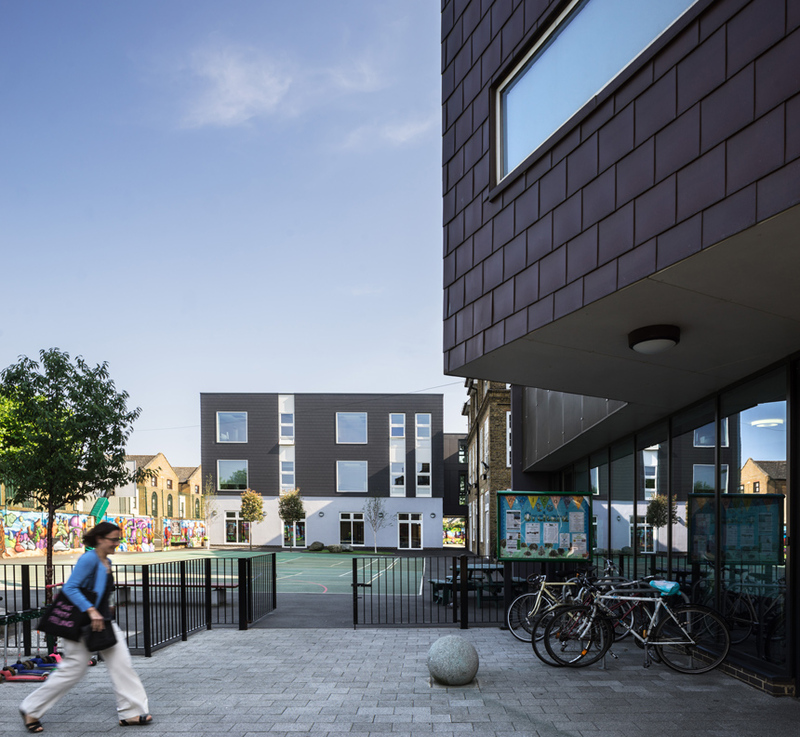 It really has made a huge difference to our learning community."